Traveling home after a vacation of any kind is usually a big bummer. Your thoughts range from, “it went so fast” to “do I really have to go back to work or school” to “boy, I really had a great time.” For me, returning home from a trip to Walt Disney World is the biggest let down of all. While I wish I was still amongst the pixie dust and magic, I make sure I take a lot of photos so I can enjoy the memories long after the trip is over. That’s why I love to take a lot of family photos while on vacation (insert collective family eye roll here). Even though my kids are now teenagers, I still love to take pictures of them, no matter how many eye rolls they throw my way. Photos are memories that will last a lifetime. Disney photos are just plain fun with all the exciting characters, rides and entertainment Walt Disney World has to offer. 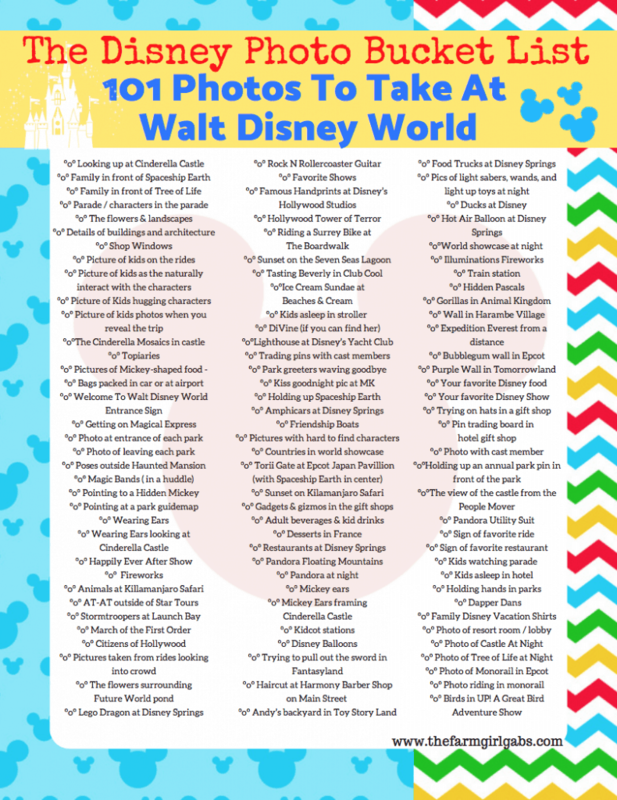 Plus, hello, Walt Disney World is the perfect backdrop for collecting those magical memories. ◊ Invest in the Memory Maker, it is worth every cent!!! For a $199 ($169 if you purchase it at least 3 days in advance through the Walt Disney World website), you can enjoy unlimited pictures taken at the Photo Pass locations throughout the Walt Disney World Resort. The photo pass photographer will simply scan your magic band or photo pass card for you can download any and all of the pictures take for no additional charge. I love the Memory Maker for Character Greetings. The photographers do such a great job in capturing the kids interacting with each character. The will even add extra magical touches to your photos like the one below. ◊ Try shooting your kids and family from different angles (like squatting from ground up). This gives a different perspective. Turning your camera different ways is fun too. Skip the duck face though. ◊ Try to take action shots of your kids while they are riding. Word of caution, if you are on the ride as well, I only recommend doing this if it is a mild ride….you don’t want your camera flying away. I have seen that happen to someone. True fact. And yes, I did take this ride while spinning….on the Mad Tea Party. Not a good idea, Melissa. But look how much fun Gabrielle and I were having. ◊ Capture photos of your kids and family as they interact with the characters before the actual pose with the character. It’s fun to capture their facial expression and the way the character makes them feel special by just talking with them. ◊ Snap pictures of your family interacting with each other or observing. I love to take shots from behind as they are walking or as the are looking at a ride or building. This shot is Gabrielle’s first sight of Cinderella Castle back in 2002. 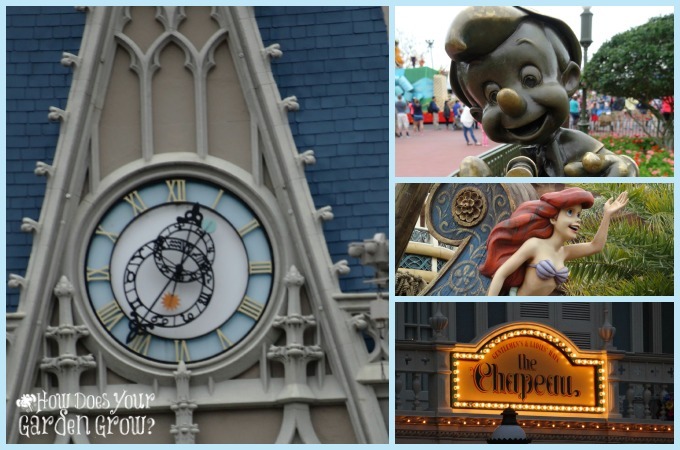 ◊ Focus of the architecture of the Disney Parks. Get close or shoot the object from a different angle or up close. 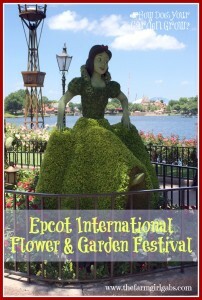 I love to do this while photographing Cinderella Castle or the windows on Main Street U.S.A. If you stop for just a second to explore this great vacation destination, you will definitely notice things and nuances that are pure Disney. 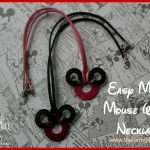 Don’t forget to search for Hidden Mickey’s too. I love taking pictures of Hidden Mickey’s. Photo memories from any vacation are a treasure to have. Kids grow older and life moves at a lightning pace so it’s nice to have these special pictures to look back on. I always find myself looking at old Disney vacation photos. 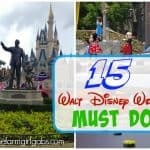 Are you planning a trip to Walt Disney World soon? 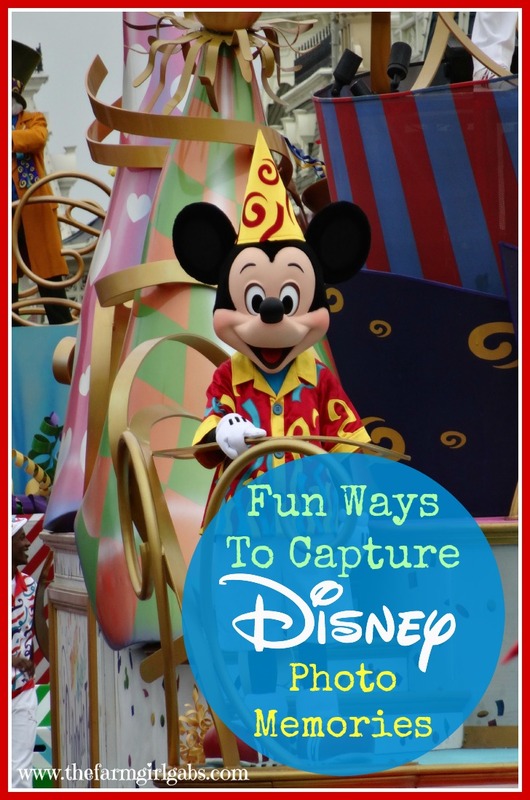 Try these Fun Ways To Capture Disney Photo Memories on your next Walt Disney World Vacation. You’ll create magical memories that will last a lifetime. 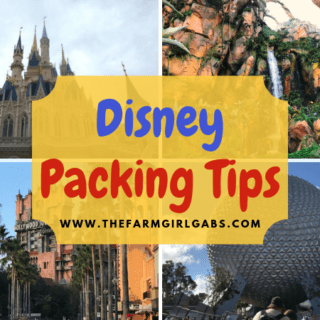 Need some Disney Planning Advice? Be sure to check out these past posts I have written. 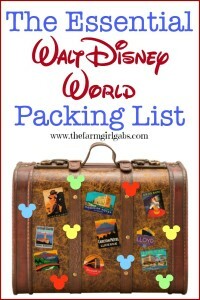 …..and my Disney Pinterest Board has even more GREAT Ideas! 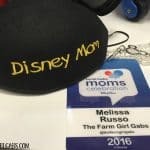 Follow Melissa Russo | How Does Your Garden Grow?’s board Disney Love! on Pinterest. Great tips. There are some awesome photo opportunities at Walt Disney World. I love looking at my Disney World pictures again and again. 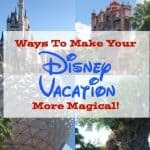 Great tips, I love all the different pictures I take every time I visit Disney. I love this article! Sometimes at Disney, we get in such a hurry to get from place to place that we forget to stop and take those unique and different pictures!